New films from Paul Thomas Anderson don’t come around too often, so when they do, it’s a huge deal. Last night, a secret “pop-up” screening of The Master took place at the legendary Music Box Theatre in Chicago. This is the only theater in the entire city that can show a film in 70mm print (as The Master was filmed and meant to be seen), and the event sold out in less than two hours. Since the film won’t receive a worldwide release until September 21, this was an even bigger deal, and the demand was through the roof. Scalpers on Craigslist were reported to be selling tickets for hundreds of dollars, prompting the Music Box to send out Facebook posts and tweets warning moviegoers to avoid paying inflated fees. It already seems The Master is one of this year’s most talked about films, and after seeing it myself, I feel it will remain that way all the way through Oscar season. The most common reactions coming out of this screening were “Wow” and “I need to process this.” I am in the same boat — even as I sit here, nearly 24 hours later, I am trying to wrap my head around what I just saw. Make no mistake: this is going to require more than one viewing to fully comprehend, but I will do my best here. 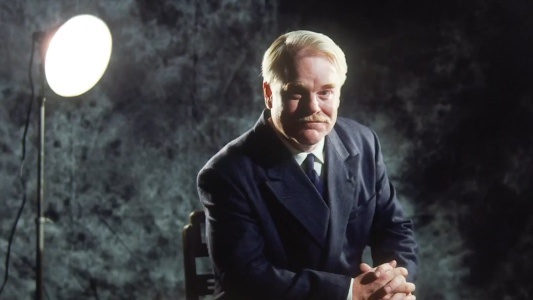 In its purest form, The Master is a character study of two men: Freddie Quell (Joaquin Phoenix) and Lancaster Dodd (Philip Seymour Hoffman). Quell is a drifter, a Navy veteran with a troubled past who boozily ventures from place to place. After being chased out of an island town after an alcohol-related incident, Quell sneaks onto a luxury ship. This is where he meets Dodd, who learns of the intruder’s trespassing and allows him to stay on board — but only if he keeps a steady batch of mixed drinks coming his way. It doesn’t take long for Quell to realize that Dodd is the leader of a new religious organization simply known as “The Cause.” With his loyal, pregnant wife Mary Sue (Amy Adams) at his side, as well as a sizable collection of followers, Dodd preaches to them day after day. The comparisons between The Cause and Scientology are inevitable, but this should not be dwelled upon. While there are similarities between the two, The Cause works in its own right, and it could represent any number of cults. The point here is not to bash a certain organization but to show the man in power and his influence over those near him. In this regard, the relationship between Dodd and Quell is endlessly fascinating. Quell is a bit of a wild man, and it’s almost as if Dodd sees him as a pet project. Both men are prone to explosions — Dodd when his beliefs are questioned — but yet they have a bizarre mutual respect for each other. Of course, it helps greatly to have skilled actors such as Hoffman and Phoenix playing these multi-layered characters. The scenes with the two of them together are when the film really shines. One particular scene, the real centerpiece of the film, involves Dodd interrogating Quell, asking him a series of questions (including many repeats) to “cleanse” him. This is part of the grooming process, to see if Quell will be a fit for the organization. The interaction between these two men is astounding, especially as Phoenix twitches nervously, runs his fingers through his hair and even slaps himself as Hoffman grills him with intense personal questions. Much will be said of Phoenix’s dedicatedly physical performance, and he deserves ALL of the accolades he will receive. Hoffman also warrants a great deal of attention, as he perfectly nails the demeanor and mannerisms of a cult leader (while also showing his insecurities). The real surprise here is Amy Adams. For much of the film, she is in the background, quietly by Hoffman’s side, seemingly acting as a loyal housewife. But there are moments where she strongly asserts herself and commands the scene, showing that she has a great deal of power, too. Her subtle facial expressions are phenomenal. 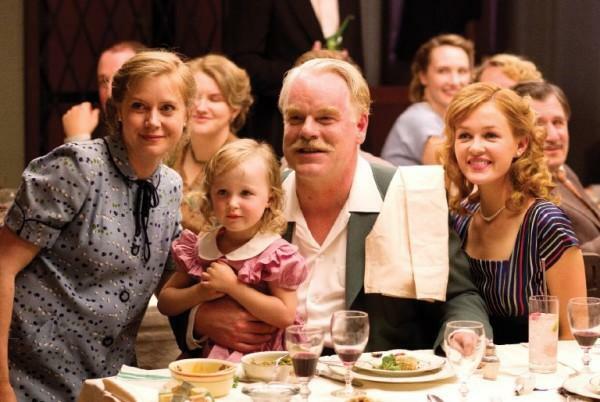 These three deliver some of their finest performances yet, and they are rounded out by a stellar cast that includes Laura Dern, Ambyr Childers and Jesse Plemons. I had the pleasure of seeing The Master in 70mm, the first time I have ever seen any film in that format. The difference between 70mm and the traditional 35mm is like night and day. It’s almost comparable to watching an old early-print DVD and then seeing the latest and greatest Blu-ray transfer, but that analogy doesn’t even do this justice. This is a visually stunning film in its own right, but if you have the option of seeing it in 70mm, it is an absolute must. 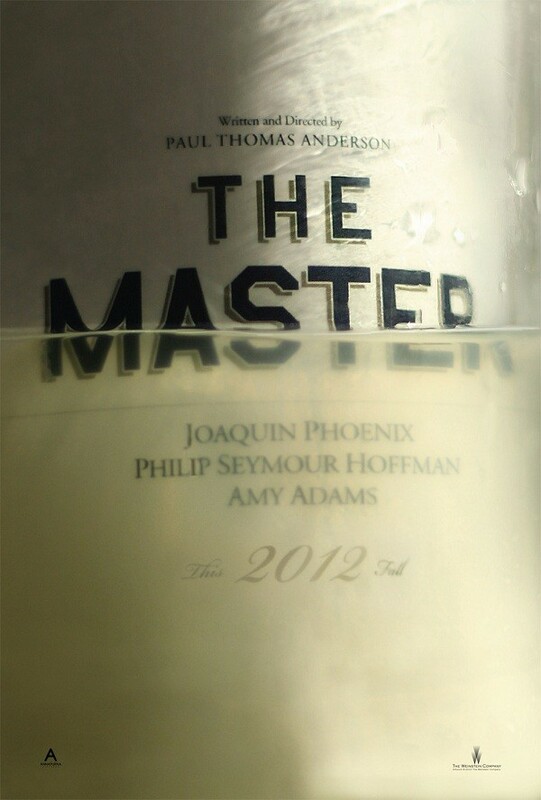 As stated earlier, The Master will almost certainly be one of this year’s most talked about films. Cults are always a tantalizing subject, and with two characters as dynamic as those played by Phoenix and Hoffman, it’s hard not to get sucked into the experience. Some may be disappointed with the slow pacing early on, but for those here for the long haul, this is infinitely rewarding. Based on my gut reaction, I wouldn’t be surprised to see this hold up as one of the year’s best. Poll Results: Vertigo or Citizen Kane? No worries, man, I would do the same thing. I tried to keep this relatively spoiler-free, but I can’t blame ya for wanting to go in blind. Eric, You have no idea how insanely jealous everyone is going to be of you. Including me. Didn’t go through your whole review, but it’s great that you loved it. all 3 leads are awesome and I can’t wait for it to come out. Yeah, I was insanely lucky to be able to catch this screening. I just happened to sign online at the right time, and it sold out minutes after I bought my ticket. Much will be said about the performances of Phoenix and Hoffman — and rightfully so — but Adams was the biggest surprise. All three were phenomenal. Most Chicago critics were there, but apparently Roger Ebert missed it because he thought it wasn’t the complete version of the film. Bummer for him, because the only thing missing was the end credits. Wow, March 2013? I can’t believe you have to wait that long. I wonder why that it is…? Thanks for the kind words, Olli. Eric, Eric, Eric… You tease us so! You are the first to report back on this, even before any of the high paid critics. Bravo sir. I’m envious and can’t wait to see this. Excellent review sir. Thanks, Mark. I am still humbled to have been one of the first people to see — and review — this film. It’s events like this that make me love my city even more. Useless piece of Trivia: It’s sounding like Hoffman could make it 3 out of 3 when working with Adams. The last two times in Charlie Wilson’s War and Doubt he got nominated. In fact Adams could maybe make it 2 out 3. She was nominated for Doubt also. They seem to pick good projects together. Now that’s a great bit of trivia right there. I would say they both have a good shot at getting nominations, though I am worried that Hoffman may be overshadowed by Phoenix a bit. Joaquin was just that damn good. A bold statement sir. Rarely is Hoffman ever overshadowed but I’m with you though. Phoenix is a fine actor indeed. Can’t wait to see this. Absolutely, man. Hoffman is probably my favorite actor working today, but people will be talking about this Phoenix performance for a looooong time. Great to hear such positive remarks. After There Will Be Blood Anderson rose to God-like status in my mind…can’t wait to see for myself. Yep, PTA is still batting 1.000 in my book. It will be hard to top this. I took a look at Rotten Tomatoes – 96% want to see rating so far! I watched a trailer also and it looks interesting but I would definitely have to be in the right frame of mind to watch. Not use to seeing Amy in this kind of role either! Amy Adams has done some great work lately — particularly in Doubt and The Fighter — but I think this is her best performance yet. Wouldn’t be surprised to see some nominations sent her way. I too passed on reading the full review right now, but let me just tell you how insanely jealous of you I am right now. Well only a little while longer until I can see this beautiful beautiful movie. I think you’ll love it, Max. It should be worth the wait. Lucky you Eric. I only skimmed through your review because like 99.9% of the population, I haven’t had the chance to see this flick lol. Glad you really liked it though, can’t wait to check this out. Cheers, Castor. I heard Minneapolis might be getting a 70mm run as well. Hope that happens for you guys! I don’t think I ever seen movie shot on 70mm so I’ll definetly going to try to see this one. While I’m not as excited about this one as most movie fans I’m sure I’ll like it, I love Anderson’s films. Great review! Thanks, Sati. If you have enjoyed Anderson’s other work, I don’t think you’ll be disappointed with this. I’m not going to read your review I’m afraid. I want to go in to this one blind. I just wanted to tell you how jealous I am that you’ve seen it already. No problem, Toby. When does it hit Australia? Next month as well? September 21st but i’ll be traveling around europe by then. If i cant fit it in when im in England i imagine it will be a wait for dvd. Oh sweet. I bookmarked your Europe post in my reader but haven’t had the chance to read it yet. Will head over your way now! OK so it didn’t open when I was in England, in fact I’ve had to wait til today to read your review because it came out in Australia on November 8. I was flabbergasted. But this is to be expected from the country that got Midnight in Paris 6 months after the rest of the world. I was a little disappointed myself. Going in blind I had There Will Be Blood level expectations on the movie and it didn’t come close. Technically beautiful and superb performances all round but just not something that could provide me with pleasure I guess. You mentioned that its not really about scientology but about the power one man can hold over others but I just didn’t see WHY he had this power. His followers seemed to be presented as mindless and his ability as an orator enough to start a cult. Surely PTA wasn’t presenting Amy Adams as the true driving force behind the cult because she didn’t seem to have any interactions with the followers aside from being pregnant and smiling. As you said at the start, it takes some processing but as Josh at Cinematic Spectacle said “it ends up being more interesting to deconstruct than actually sit through” and I’m not sure I want to deconstruct it. Hey Toby, sorry for the late reply. I appreciate you coming back — can’t believe it took so long to hit Australia! Bummer to hear you didn’t dig this one as much. I will agree that it’s not on the level of There Will Be Blood, but I don’t know if PTA will ever be able to reach that level again. To me, that is one of the greatest films I have ever seen, recent or otherwise. I don’t think Mary Sue was the driving force behind the cult at all. She did seem to have some influence, but she was there more to keep Dodd in check. Any work she had behind the influence of the cult was done behind the scenes while allowing Dodd to be the undeniable leader in front of his followers. As for why Dodd had this kind of power, that’s the million dollar question for any cult leader, really. If you have an idea, there will be people willing to buy into it, especially if you have the credentials and charisma that Dodd has. I still haven’t seen this a second time, unfortunately, but I will seek it out again as soon as it hits DVD. WOW, this does sound like a tremendous film. I know what you mean, some movies are so hard to review but you did a great job without revealing too much. A great character study is always intriguing and man, I hope Phoenix got nominated for his return to form in the first major film he did after his ‘retirement.’ I didn’t know this was shot in 70 mm, very cool! Thanks, Ruth. I would honestly be shocked if Phoenix didn’t get a nomination for this. Hoffman and Adams should be in the running as well. As I mentioned to Castor, there are rumors that this will be shown in 70mm in Minneapolis. I hope that happens — it really makes a huge difference! Oh that’d be great if they did. Wow, screening over a month in advance. Lucky skunk. Great review, Eric; I knew little about this film, and now it’s sounding like it’s really one to check out. Thanks, Morgan. It’s definitely one of this year’s most intriguing films. I feel honored to have been able to see it so early. LA LA LA LA LA NOT READING THIS, WAITING TO SEE IT WITHOUT ANY PRECONCEPTIONS. Seriously, thumbs up on seeing this a month in advance. You have no idea how jealous I am. Haha, thanks man. I’m hoping this film is successful so at the very least we are given the option of more 70mm features in the future. The difference in quality is staggering. You are so lucky being able to see this! 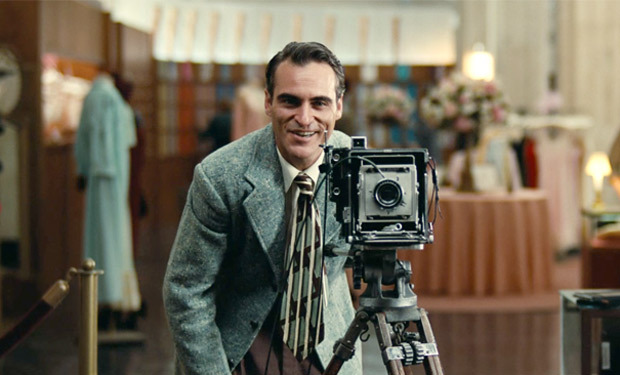 I definitely think Paul Thomas Anderson is one of the most interesting directors alive – and seeing your latest poll, just out of curiosity, what is your favorite of Anderson’s movies? I have really enjoyed reading your blog! early screenings are always great! Glad you got to see it. Thanks for sharing. I look forward to checking it out myself! Thanks, T, it was definitely a movie-going experience I will never forget. 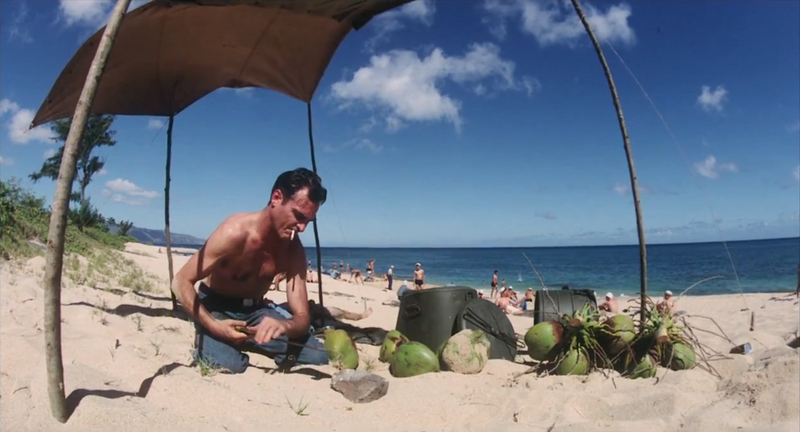 Oh man, I would love to see some older Carpenter films in 70mm, or even on the big screen period. Hope The Master happens for you as well. Thanks for the comment! Well, hate’s a strong word, but I am endlessly envious you’ve seen this already. I can’t wait. Haha I would probably feel the same way if the roles were reversed. 🙂 Thanks, PG.